His former Number 1 has said it is time for the Italian to walk away from managing the Irish soccer team. 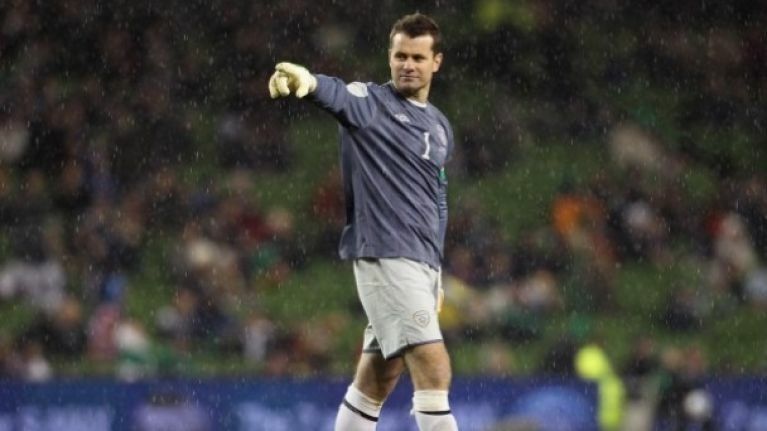 As Ireland’s second most capped player, Shay Given knows a thing or two about international football. And, in an interview with Talksport this morning, the Donegal man has, in very diplomatic terms it must be said, called for Giovanni Trapattoni to step down as Ireland boss. Given, who was first choice under Trap until injury forced him out of the team, also says that while the team never fell out with the Italian, he was hard to understand sometimes. “I just think people are looking for a change, they want someone new in with fresh ideas. It’s time for someone else to take the reins and hopefully lead us to the next European Championship. And the Aston Villa man also pointed out what he saw as the difficulties Ireland face in football. When sober voices like Given are calling for Trap to go, even before tonight’s tricky trip to Austria, then perhaps the Italian, and his backroom team, will listen.